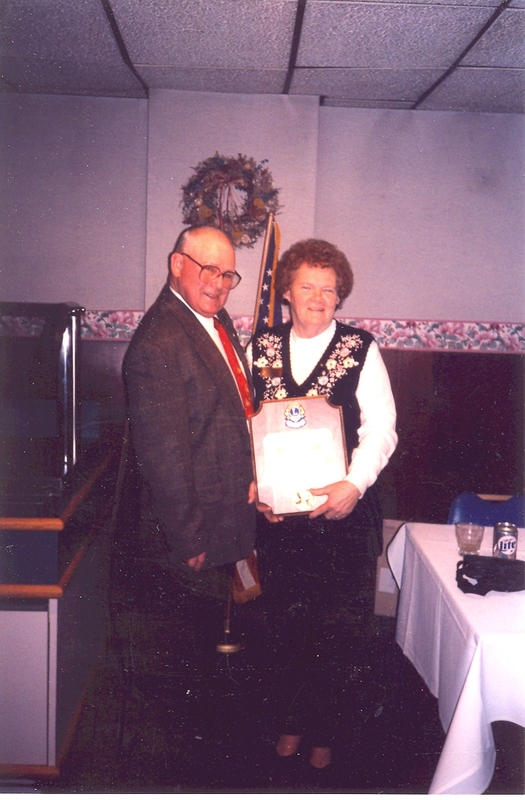 The new club was sponsored by the Cottage Grove Lions Club, with Lion Don Johnson as our guiding Lion. It was his responsibility to see that the new club got off on good solid footing. It helped that his brother, new Lion LaMar Johnson was the Charter President of the new club. The motto that evening was: "Touch a Life with Hope"
That was the beginning. What has followed for over 30 years can be characterized as years of outstanding, dedicated community service, good fellowship, personal development, an honored place in the community and a strong contribution to the mission of the Lions both at the District and International level. 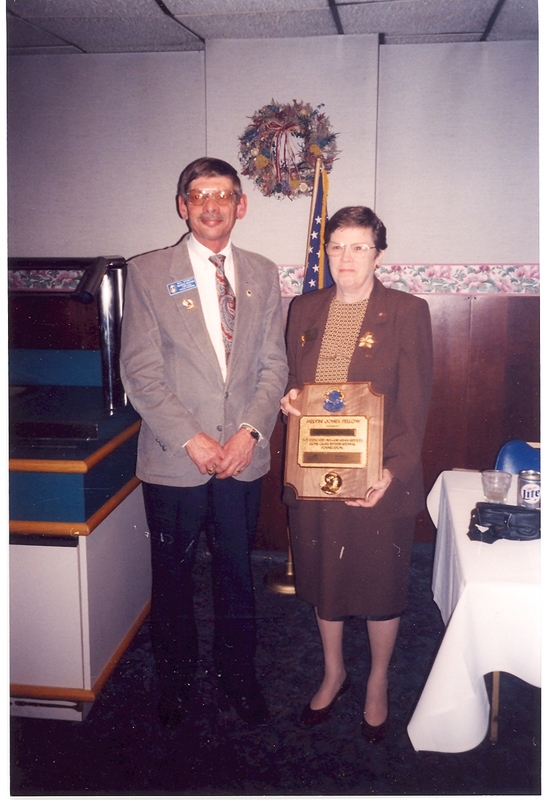 Members come and go, but the role of Waunakee Lions Club in Waunakee continues. 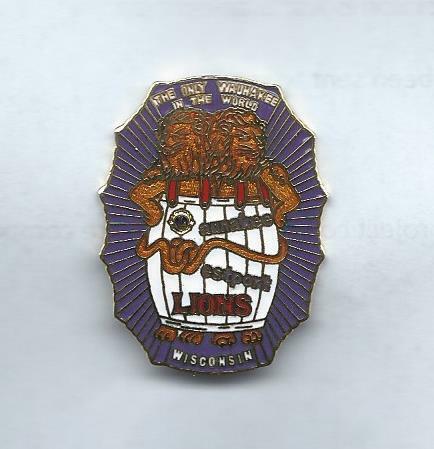 The new club pin was designed to recognize that there were new members from both Waunakee and the Town of Westport characterized by two lions in a barrel. What do many residents identify with when Waunakee Lions are mentioned? FOOD! Lots of it - chicken, pork, barbequed beef, baked potato. The familiar yellow tents appear at many village functions where folks can enjoy the outstanding fare. Food service has always been one of the clubs major fund raising activities. A lot of chicken was cooked! 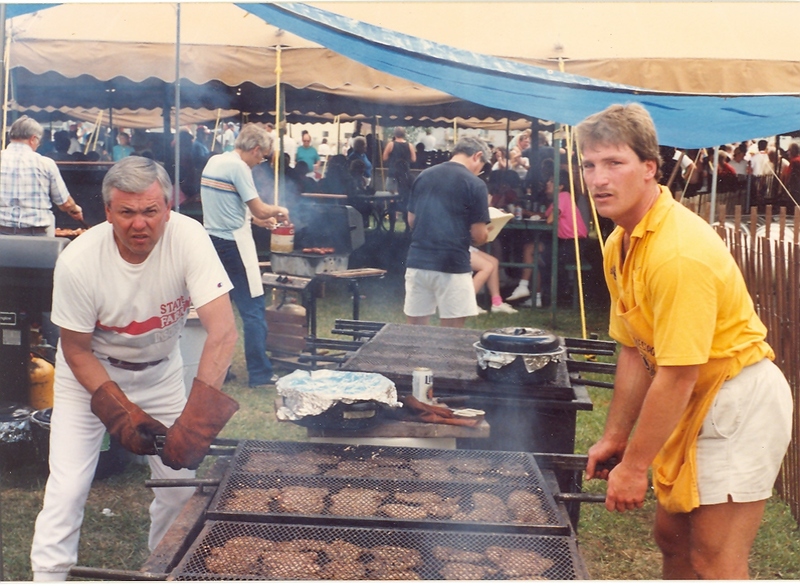 Lions Dan Teetzen and Scott Fleiner work the barbaque pit. Waunakee Lions have always been well represented in the annual Waunafest Parade. 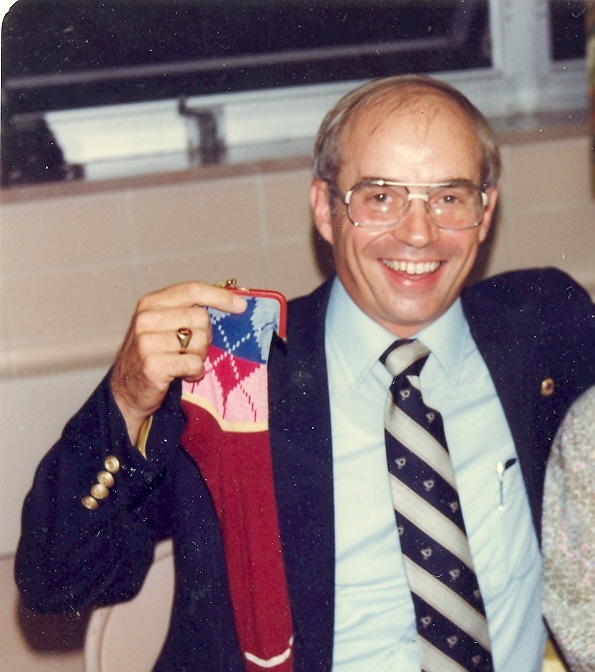 (1980's) Sharon Taylor, wife of charter member Dave Taylor, made the two Lion suits. Both deceased, were active in the formation and activities of their respective clubs. Both deceased, were stalwart and influential members of their respective clubs. 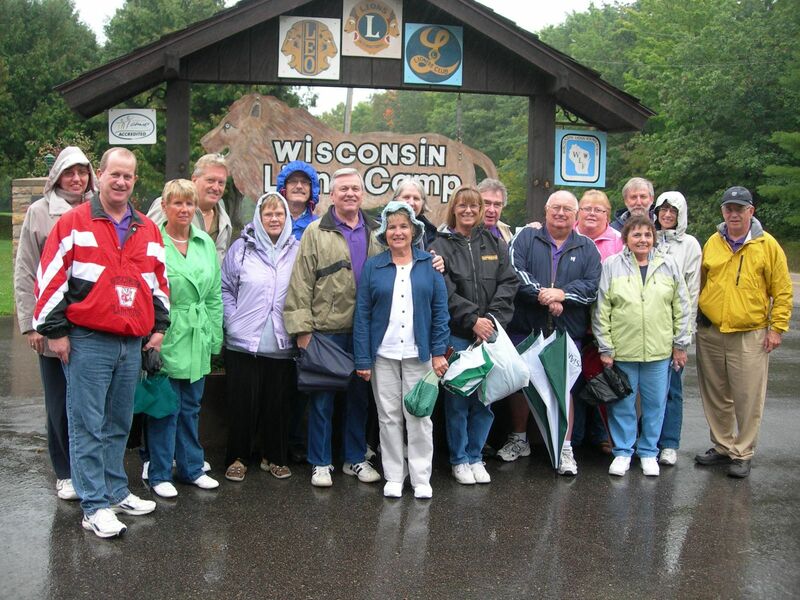 Waunakee Lions have a history of strong and on-going support of Wisconsin Lions Camp, Rosholt, WI. Many members have visited the camp and many have participated in work activities on the camp grounds. Vision is the signature project of Lions International and Waunakee Lions have collected used eyeglasses since 1980. Before there was a Lion Bank, there was a socketbook!